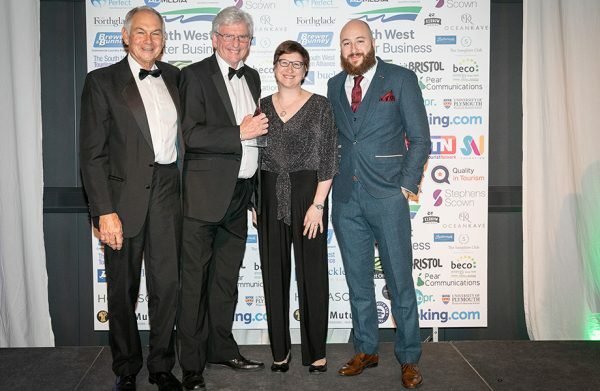 The New Room, located in Bristol Shopping Quarter, has won a bronze award in the Small Attraction category at this year’s South West Tourism Awards. 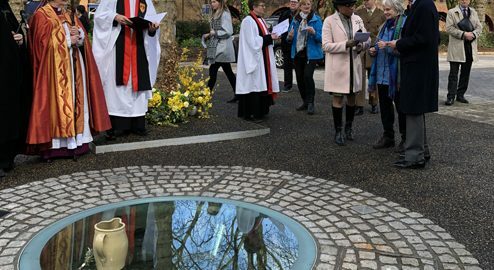 The New Room, also known as John Wesley’s Chapel, was the only Bristol attraction to be shortlisted in the South West Tourism Awards’ Small Attraction category and overcame stiff regional competition to win the bronze award. The New Room, whose multi-million pound Heritage lottery-funded visitor centre opened in 2017, shares the bronze award with Stuart Line Cruises of Devon, both sailing in ahead of Berkeley Castle, Bodmin Jail and Telegraph Museum Porthcurno, who were all highly commended. Gold was won by the Dorset Heavy Horse Farm Park, and silver by Boscombe Down Aviation Collection. The awards presentations, attended by nearly 400 guests, took place at Aerospace Bristol and was opened by Captain Les Brodie who piloted the last ever flight to Filton in 2003. It was the biggest-ever annual regional gathering of South West tourism businesses, with 107 different awards handed out – the result of a rigorous judging process in which a record 651 entries were considered. All entrants in the South West underwent a rigorous short-listing process with 472 being visited by a team of 51 mystery shoppers. Entry was free, and all entrants received feedback, valued by entrants as one of the top reasons for taking part. David Worthington, director of the New Room, said: “To be named as one of the very best small visitor attractions in the whole of the South West – and the best in Bristol – is such an accolade, and we are delighted with this recognition for our historic chapel and the new visitor centre and museum. Other Bristol tourism operators recognised in the awards were: Bristol Zoo’s Jenny Stoves (silver in Customer Service Superstar award), Where The Wall (silver Guided Tour Of The Year for their street art tour, and bronze Learning Experience for ‘introducing stencil art’ spray sessions), Aerospace Bristol (silver Large Attraction of the Year, and silver for Tourism New Business) and SS Great Britain (gold for Tourism Innovation Award and bronze for Large Attraction).